It’s a show, it’s a competition, it’s an all in one Entertainment Package! 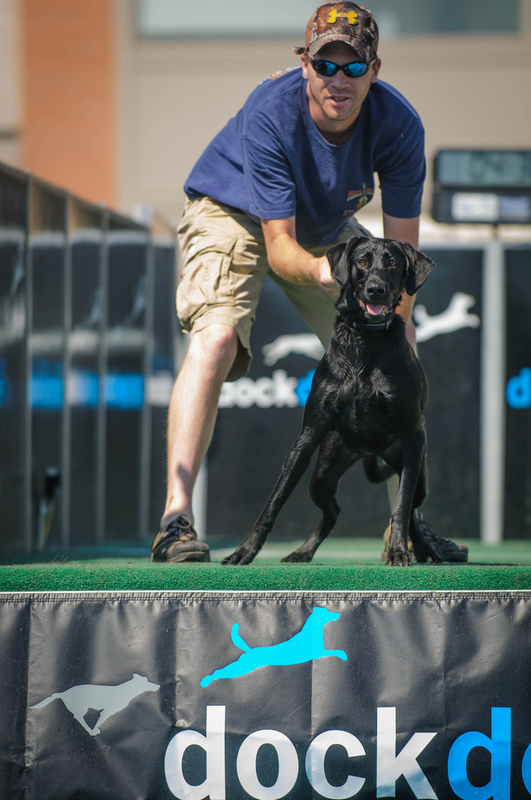 DockDogs® is a turn key solution to draw crowds to events. Essentially its dogs jumping in a pool of water however our unique success driven formula brings together all key messaging elements Excitement, Engagement, Entertainment, Education and the Edginess of Competition. Excitement: There is high energy music, hilarious announcers, dogs and their owners pumped and having fun. Engagement: Its non-discrimination, all breeds, all ages, all mixes, all sizes- dog sport and every dog CAN do it! Entertainment: DockDogs® is a Spectacular Show which involves an extremely polished performance capsule. Education: Our core values are ‘any dog can do this, socialise your dog early, educate for life, get involved’. ‘I reckon MY dog could do that’ it allows the heart to get behind competitors and the head to wonder and dream of you being up there with your dog. In fact during breaks between competitions we actually do that, we encourage the general public to get their dogs and give it a go.